As a Mom, we all have our childrens' welfare in mind - ALL the time. That's why there's the regular trips to the pedia, the sunblocks, the sterilizing and all that jazz. Am I right or am I right? Of course I am no different. If there's one thing that I make sure my boy never runs out of - that's vitamins! I constantly ask the pedia and do research about the best food supplement to give to him. He just turned two and I want him to grow up healthy and active, though in the active part, well, he's got a lot to go around but really, I want him to be ACTIVE and not sickly. He's at the stage where he's a bit picky about the food that he eats so I make sure I back up this pickiness up with a food supplement that can cover the nutrition he missed from what he eats. Thanks to WERT PHILIPPINES for sending me NUTRI10PLUS SYRUP - sports active formula that contains: CGF, Zinc, Lysine and Taurine to name a few. Obviously, I immediately had my little boss try it and so far I am impressed with the result. Now I make sure that he drinks half a teaspoon every single day. I've been seeing changes in his eating habits and he seems more active than before. 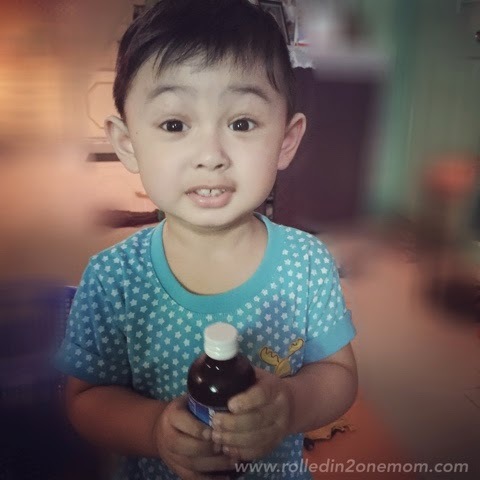 The yummy sweet and sour Ponkan flavor also makes it easy for me to have my son take his vitamins each day. I must say, I am totally satisfied and I have decided to stick with NUTRI10PLUS as his regular supplement. 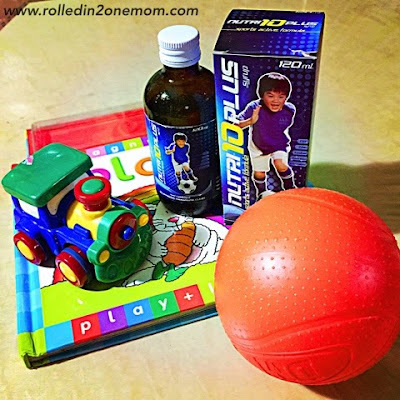 I recommend you try it for your kids too, but of course, make sure to ask your pedia first. For more information on NUTRI10PLUS - visit WERT PHILIPPINES on FACEBOOK.